Approximately one year ago I had the great fortune to chat with celeb hair guru George Papanikolas about his work at the famous Chris McMillan Salon. A side note to that conversation, he told me he was doing the color and style for Friday Night Lights star Minka Kelly. Honestly I had never seen the show before and decided to go and watch previous episodes to catch a glimpse of Minka’s hair color. You guessed it, I got totally addicted to the show. Yes, Minka’s hair color knocked my socks off, no surprise because George did the color, but I loved her work on the show. Actually I loved the show. OK, OK….it’s set in Texas and that helps, but seriously the acting rocks. Minka is amazing in the role. Of course it doesn’t hurt that she has eye popping, mouth dropping hair color courtesy of George. As reported today on Retailing.com by Allison Cerra, Paul Frank Industries (Julius, Sheree (my fav), Clancy, WorryBear and lots of cool products) announced a licensing agreement with American Greetings, giving the greeting card manufacturer access to the global fashion brand’s extensive design portfolio for use in new social expression products. 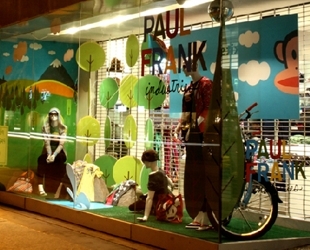 (Image of Paul Frank Industries window display at famous Kitson’s in LA – HBM Media – All Rights Reserved). The new partnership will include a wide range of greeting cards, gift packaging, stickers and party goods featuring the modern design sensibility and whimsical humor of Paul Frank including Julius, the iconic monkey, and the brand’s 200+ colorful characters. On Saturday, May 3rd, 2009 at approximately 9:30 am I received a phone call from my long time friend, Hair Maestro Ken Paves, who asked me if I could come see him off in his gorgeous black Ferrari in the Rally For Kids With Cancer Race. (Image of L-R – Karen Marie Shelton – HairBoutique.com CEO and Ken Paves – Hair Maestro – CEO of Ken Paves – at the Roosevelt Hotel in Los Angeles on May 3, 2009 – Rally For Kids With Cancer – Hosted by Honorary Rally Chair – Eva Longoria Parker – Photo by Edan Kencayd – HairBoutique.com – All Rights Reserved). 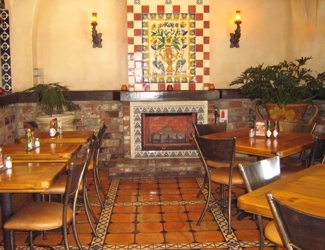 The actual race was scheduled to start at noon from the back parking lot of the famous Roosevelt Hotel in Los Angeles. Ken, his wonderful mother Helen and Ken’s navigator. Driver Dan, were all hanging out at the pre-Rally brunch upstairs on the second floor of the hotel. Driving as fast as I could, I made it to the Roosevelt Hotel in time to see the various celebrities who had graciously committed their time to drive in the Rally to raise money for Kids With Cancer. 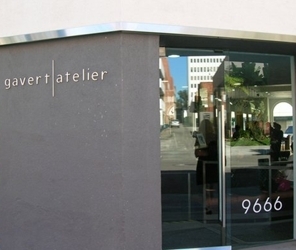 A few years ago I had the great good fortune to meet celebrity hairdresser Janine Jarman who was in the process of opening the Hairroin Salon. 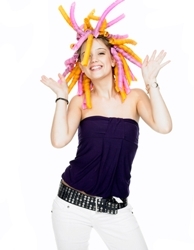 At the time I did an interview with Janine and I was so incredibly impressed with the vivacious hairdresser who was bursting with energy and amazing creativity. 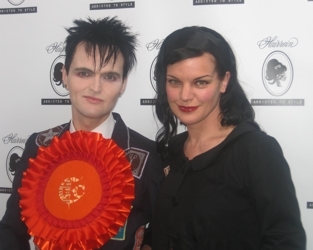 (Image of Pauley Perrette and Clint Catalyst at Hairroin Dark Sparkle Black Carpet Event, April 29, 2009 to support Los Angeles Youth Network – Photo Karen Marie Shelton – HairBoutique.com – All Rights Reserved). Janine had already broken out of her hairdresser role to be a celebrity hairstylest, doing tons of photo shoots with a variety of celebs and coiffing The Pussycat Dolls, Robin Antin and a whole list of other well-known stars. 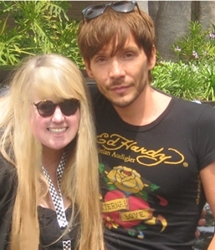 My friendship with celebrity hairdresser Ken Paves is about to enter its eight year of life. Although Ken and I always stay in touch, sometimes it’s hard to catch up with him because he is so busy that even his staff has a hard time tracking him. Now that’s not a bad thing, especially for all the lucky celebrities and regular hair clients that get to sit in his chair. 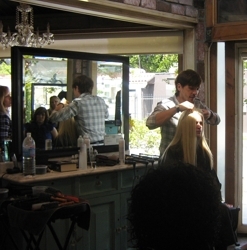 (Image of Celebrity Hairdresser Ken Paves at Ken Paves Salon in Beverly Hills demonstrating application of HairUWear HairDo clip in extensions on Model Katie for Paves Salon hairdressers on Monday, April 27, 2009 – Photo by Karen Marie Shelton – All Rights Reserved – HairBoutique.com). Somehow the Gods of Fortune smiled on me recently. Ken was going to be in one location for more than a few hours, a rare event, and invited me to come and hang out with him at his Beverly Hills location. Of course hanging out with Ken Paves means doing hair. Lots and lots of of non-stop hair. It is an amazing journey that I would crawl over broken glass to experience.